Petra and Luka Temnikar travelled 140 kilometres across Slovenia to attend a Special Olympics Opening Eyes screening, and it was worth every kilometre! When Petra heard that Special Olympics Slovenia was organising an Opening Eyes screening event in Laško, 140km from her home, she didn’t hesitate to bring 17 year old Luka along. She knew that he would receive high quality eye tests and glasses that would improve his vision significantly—a service simply not available in his locality. The Opening Eyes programme is made possible by a generous and long-standing global commitment from the Lions Clubs International Foundation (LCIF), which serves as the vision programme’s principle global partner. 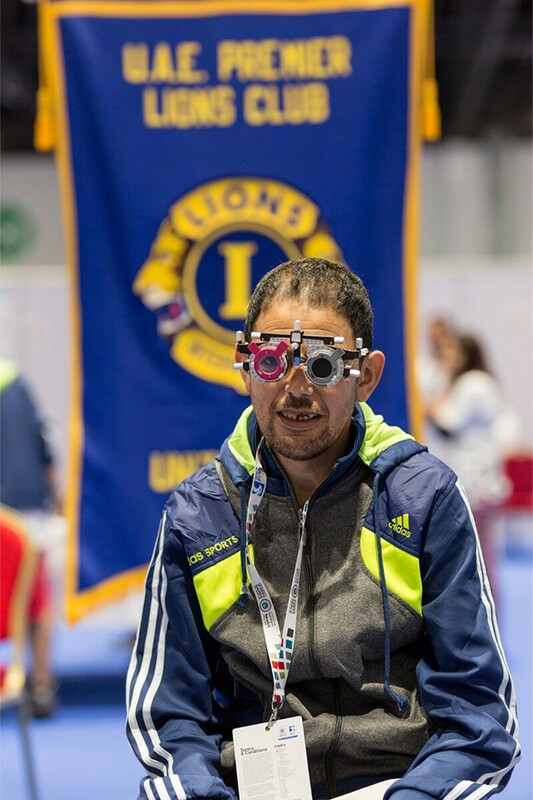 Through its financial support, and volunteer support in over 90 nations around the world, LCIF has been a global pioneer in highlighting the unmet health and social needs of individuals with intellectual disabilities, via the Special Olympics-Lions Clubs International Foundation “Mission: Inclusion” partnership platform. Special Olympics athlete at Opening Eyes screening during Special Olympics Middle East and North Africa (MENA) Regional Games in 2018. Long drives that are always worth the effort! Petra and Luka are familiar with long drives for Special Olympics activities, but they are always worth the effort. Luka trains with a Unified swimming group in Velenje, 40 kilometres away from their home town. Petra said, “It’s true it’s quite far away and we drive him three times per week, but he loves to go, and he is successful”. He wears prescription swimming goggles, because he had trouble swimming due to poor eyesight before. “He couldn’t even see the line at the bottom of the swimming pool before,” added his mother half-jokingly. Outside of the pool, Luka had not been wearing glasses, even though he could only focus a few centimetres ahead. Most of what Luka was seeing was blurry. When Luka and Petra arrived at the Opening Eyes session, which was a ‘Train the Trainer’ event, experts thoroughly assessed Luka's vision, which was a challenging task due to his nystagmus. “He got glasses when he was little, but he doesn’t like wearing them. Maybe he’ll like the ones he got here,” smiled Petra. Luka confirmed with a happy nod while testing a fancy frame provided by global programme sponsor Safilo. After Luka’s assessment, the frame and the prescription are sent to the nearest Essilor lab. 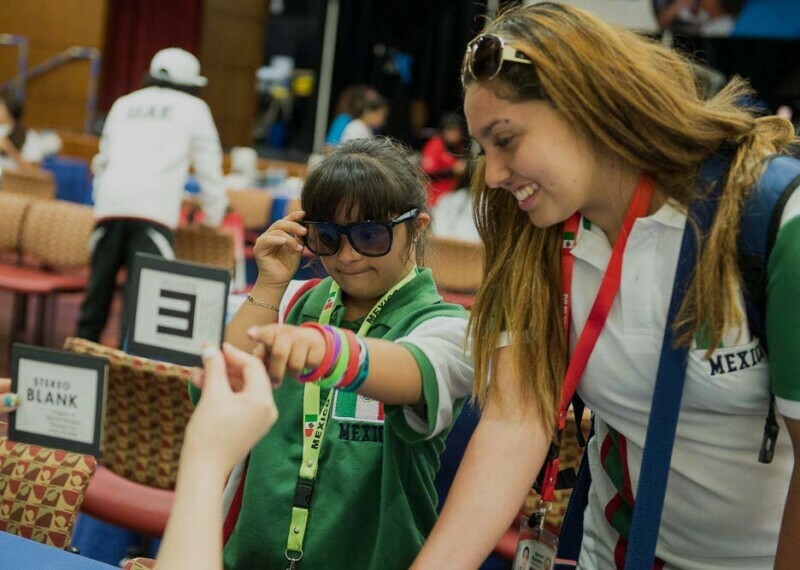 Essilor provide high quality lenses at no cost to Special Olympics athletes. There’s no doubt that Luka will be telling the story of his adventure to Laško as he shows off his new glasses to his friends! People like Luka who have an intellectual disability (ID) often have difficulty accessing to quality health care. The Special Olympics health programmes, including Opening Eyes, is addressing this issue by providing health screenings at no cost and educating families and athletes. Perhaps even more importantly, these programmes provide continuing education to health care professionals in order to raise awareness of the special needs of people with ID when it comes to health care and prevention. The event in Laško also hosted an Opening Eyes ‘Train the Trainer’ session. Supported by the Alcon Foundation, five Optometrists, Ophthalmologists and Orthoptists from four countries were trained in the best techniques for testing persons with ID and in how to organise Opening Eyes vision screenings at Special Olympics Events. Special Olympics, together with critical global partners like LCIF and suppliers such as Essilor Vision Foundation and Safilo, looks forward to bringing the power of Opening Eyes, and its wider Healthy Athletes programme, to more and more athletes across Slovenia, and the world! 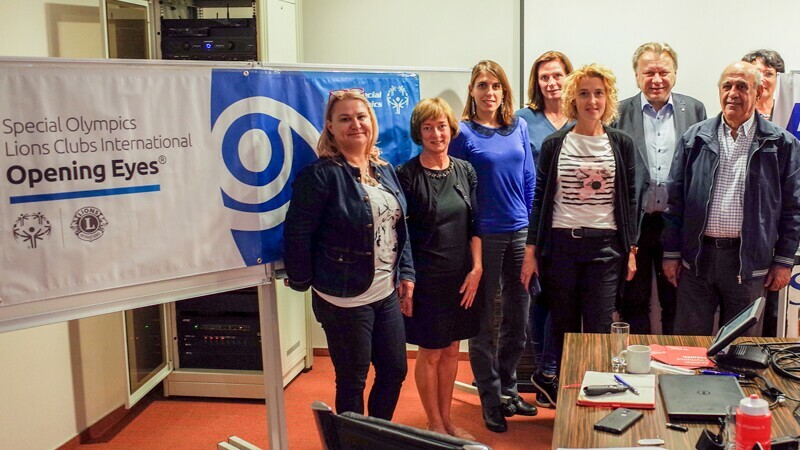 Newly trained eye specialists at the Opening Eyes 'Train the Trainer' event in Slovenia. 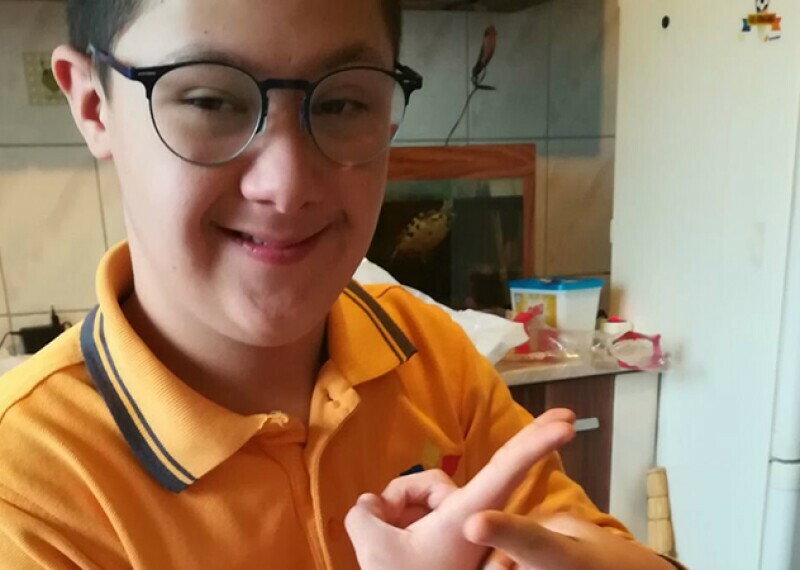 Thanks to the program, supported by Essilor, 13-year-old Cristi Ardeleanu is experiencing huge improvements to his eyesight. 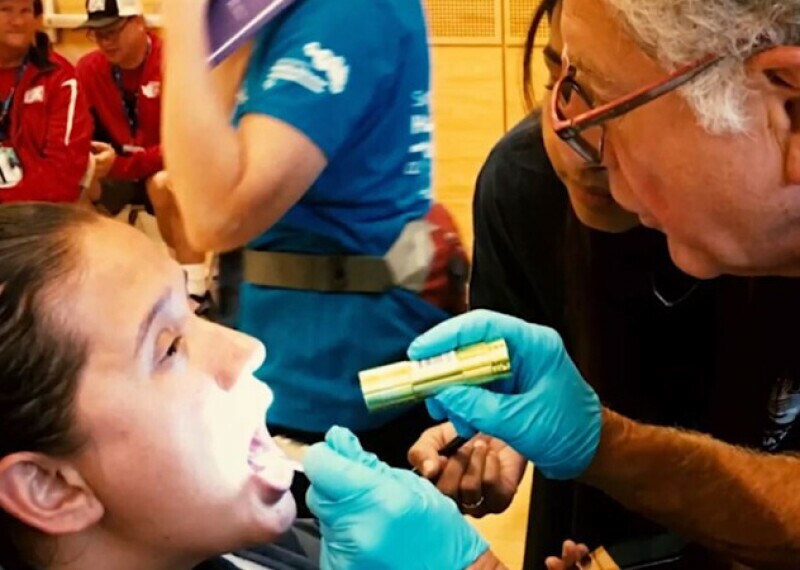 Join the more than 90,000 health care providers and students worldwide who have volunteered with the Healthy Athletes program. In the 1990s, Dr. Steve Perlman and Eunice Kennedy Shriver met to discuss the lack of access to health care for people with intellectual disabilities, who were often denied treatment.